Unlike many other web sites that have special rules and lots of fine print, Li-Ning Badminton offers free shipping on MOST orders under 140 lbs / 65 kgs placed on our website, as long as the pre-tax amount is greater than $150 for destinations within the continental USA and Canada. Li-Ning Badminton reserves the right to charge shipping on all orders where the customer lives in remote areas and excessive shipping charges apply. Just because shipping is free does not mean it should take a long time. Li-Ning Badminton understands that getting your items quickly is important to you, so we make every effort to process your order quickly. When you order from our website, you can expect to receive your order within 1 to 5 business days in most areas. If you purchase shoes or an article of clothing you can return your order (prepaid by you) to Li-Ning Badminton and we will send you a replacement shoe or article with no additional shipping charges. Free exchanges apply once to the original order only. Please be sure to include your original order number and indicate the replacement size that you would like us to ship. 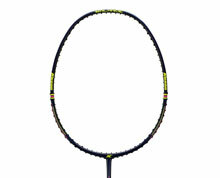 Clearance clothing, customized clothing and customized strung rackets can not be exchanged or returned. All sales are final on these items. If you are not 100% satisfied with your purchase, you can return your order (prepaid by you) to Li-Ning Badminton for a full refund. So if for whatever reason you are not happy with your purchase, just go through our easy return process below. Clearance clothing, customized clothing and customized strung rackets can not be exchanged or returned. All sales are final on these items. With the Li-Ning Badminton 30 day return policy, there are no special catches or exceptions. All we ask is that you send the items back to us in the original packaging, and make sure that the merchandise is in the same new condition received. Clearance clothing, customized clothing and customized strung rackets can not be exchanged or returned. All sales are final on these items. When completing the shipping documents to return products for exchange, return, repair or warranty you must specify that the purpose of the shipment to us is for REPAIR or RETURN with no customs or monetary value otherwise the shipment will be subject to unnecessary brokerage fees, duties, customs and taxes which are the responsibility of the shipper (you). It is not viable or possible for us to accept shipments for exchange, return, repair or warranty where the shipping charges and all other charges (if the shipment is not prepared correctly) are not prepaid by the shipper. You can return your purchase (prepaid by you) up to 30 days from the purchase date. Products must be in the same NEW condition you received them and in the original box and/or packaging. Used products may not be returned. Once your return is received and inspected by the fulfillment centers (usually within 72 hours of receipt), your refund will be processed and a credit will be automatically applied to your credit card or original method of payment within 7 business days. Please note that depending on your credit card company, it may take an additional 5-10 business days after your credit is applied for it to post to your account. Due to the convenience, national coverage and reasonable shipping rates associated with the United States Postal Service, we strongly recommend them for your return shipment. Please visit usps.com for a location near you. ** USA & International Dealer, DSA and Sponsorship accounts do not qualify for returns or exchanges and are subject to the terms and conditions of the contract or agreement in force. If you purchase shoes or an article of clothing you can return your order to Li-Ning Badminton within 30 days by logging into your account and clicking on the Request Return link to create your return label. Clearance clothing, customized clothing and customized strung rackets cannot be exchanged or returned. All sales are final on these items. If you are not 100% satisfied with your purchase, you can return your order to Li-Ning Badminton within 30 days for a full refund. So if for whatever reason you are not happy with your purchase, just go through our easy return process below. Clearance clothing, customized clothing and customized strung rackets can not be returned. All sales are final on these items. You can return your purchase up to 30 days from the purchase date. You can generate a return label by logging into your account and clicking on the “Request Return” link. *** Canadian Dealer, DSA and Sponsorship accounts do not qualify for FREE Returns and are subject to the terms and conditions of the contract or agreement in force.